Located about 20 miles from Washington, D.C., the area around Joint Base Andrews, Maryland, offers a variety of lifestyles. Enjoy the bustling city life where you can walk to your favorite restaurant and easily meet up with friends by keeping your house hunt focused in Alexandria and closer to D.C. And if that lifestyle isn’t for you, slow it down. There are lots of options for properties that will give you the feeling of privacy and escape that living in the country provides. 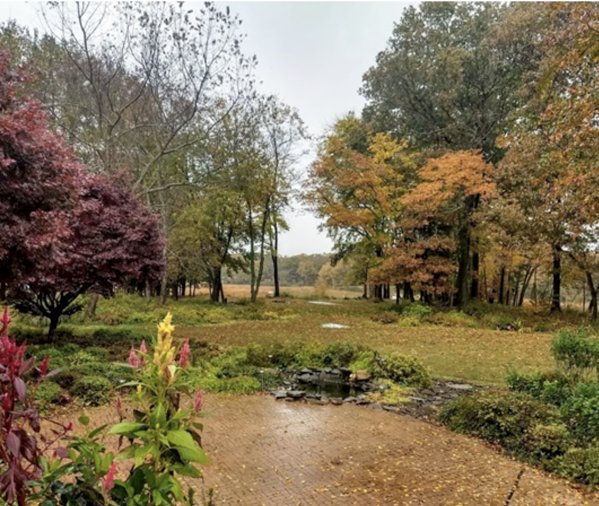 Check out these properties available now near Joint Base Andrews, featuring incredible outdoor living space. 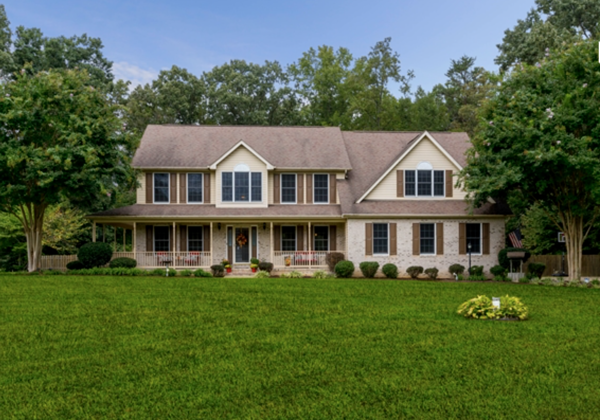 Embrace outdoor living in this stunning six bedroom, 3.5 bathroom home. Located about 30 miles from Andrews AFB, you’ll certainly get the separation from work and home that you’re looking for with this property. There’s so much to love, so let’s start with the exterior. Charm is the first word that comes to mind when you drive up to this house. 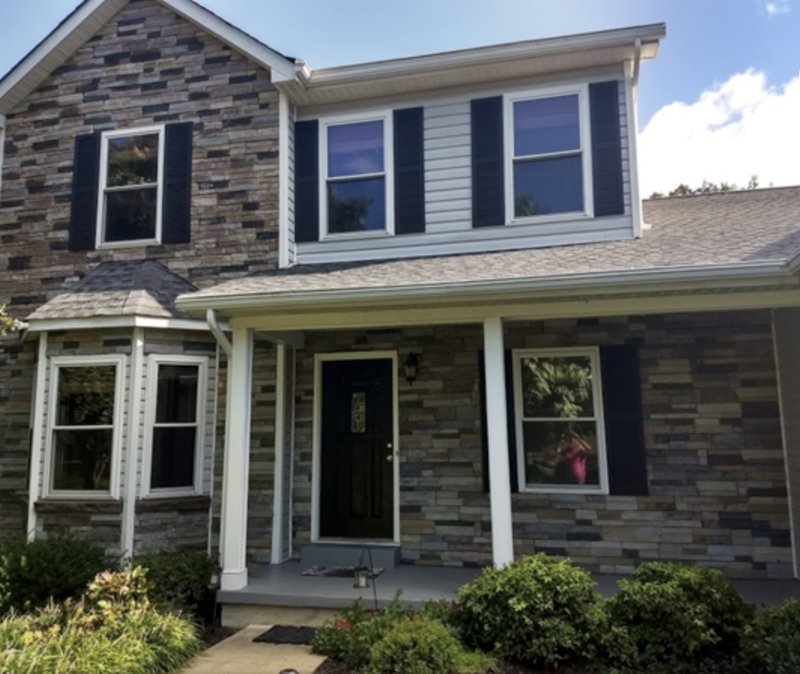 Its beautiful brick details, large front porch, and lush landscaping will have you picturing your life in this home almost immediately. When you step inside, your heart will grow even fonder. 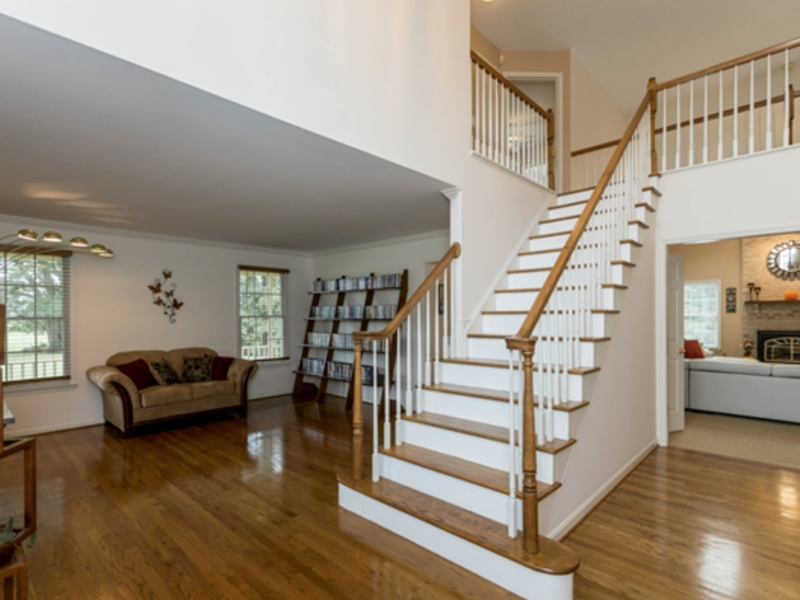 Walk into the open foyer where you’ll be greeted with gleaming hardwood floors and a staircase leading to the second floor. Then head further in to see the gorgeous family room. 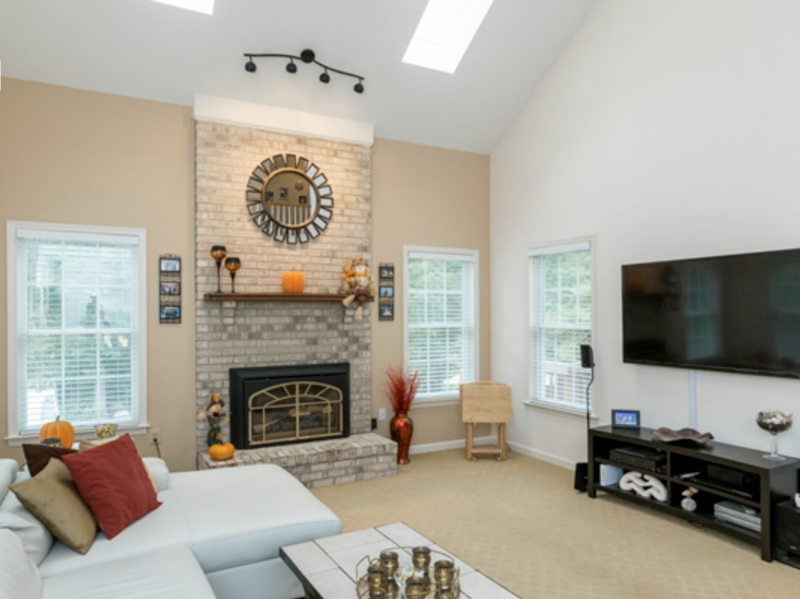 The family room is complete with soaring ceilings, skylights, and a beautiful fireplace. And while you snuggle up to the fireplace, you can keep an eye on dinner in the kitchen. The open floor plan makes these common living areas ideal for growing families and hosting friends and family during the holidays. Gather around in this large kitchen. 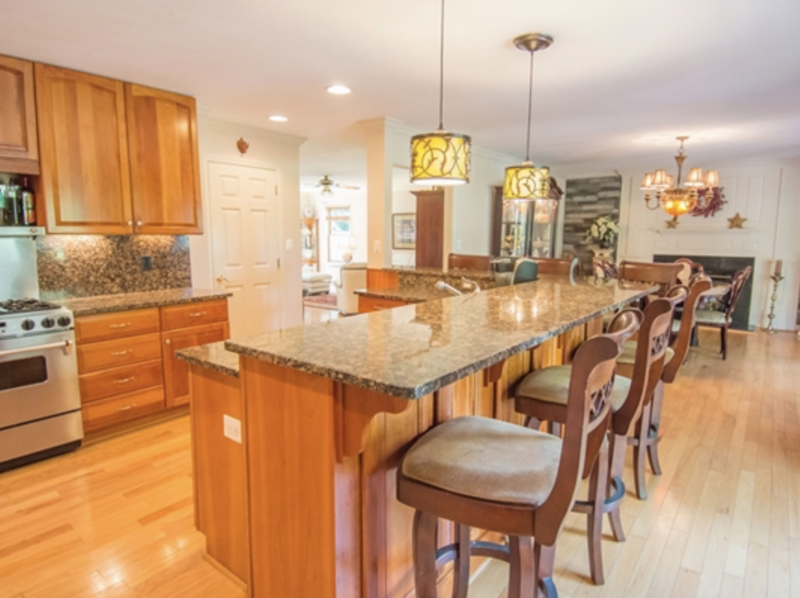 With plenty of counter space, an island, and easy room to move around, this space is great for hosting crowds. And don’t forget about the master suite. Need a getaway within the house? This master has it. Not only is there a large bedroom, but there’s also a sitting area and bathroom with a separate tub and walk-in shower. But let’s not overlook why this property caught your eye in the first place! The outdoor living space is truly incredible. 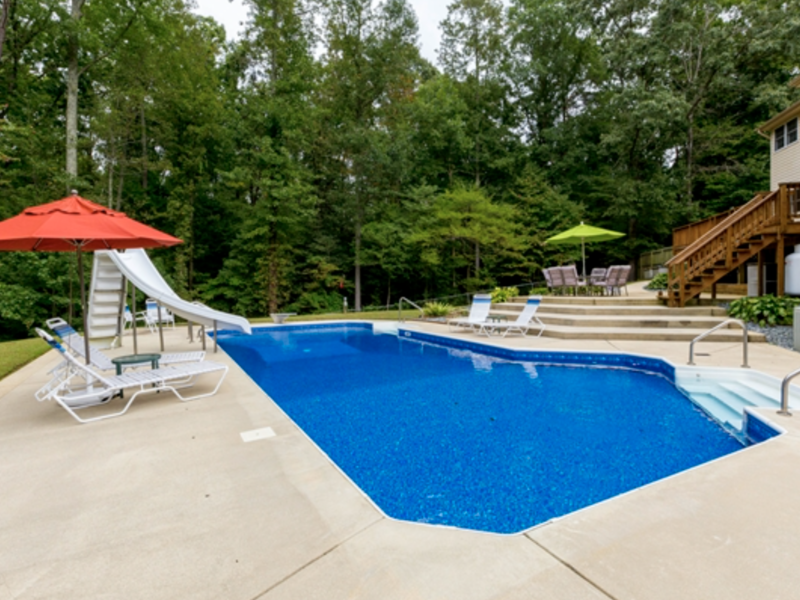 Step out back onto a large deck overlooking the heated in-ground pool and beautiful landscaping. Then venture down the path to a playground setting and large over-sized shed. Continue your house hunt with this four bedroom, 2.5 bathroom home. 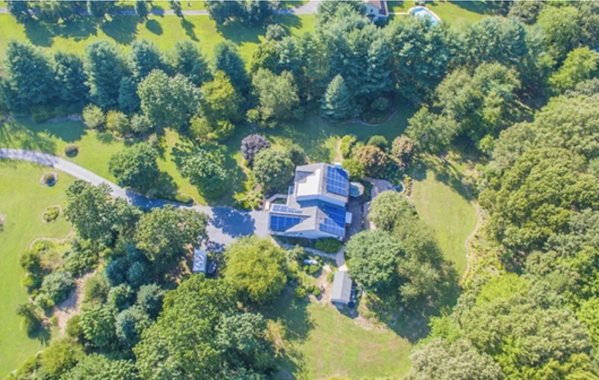 Located on nearly ten acres, this property will be your own private getaway! There are a few things that make this home especially memorable. The first is the gourmet kitchen. 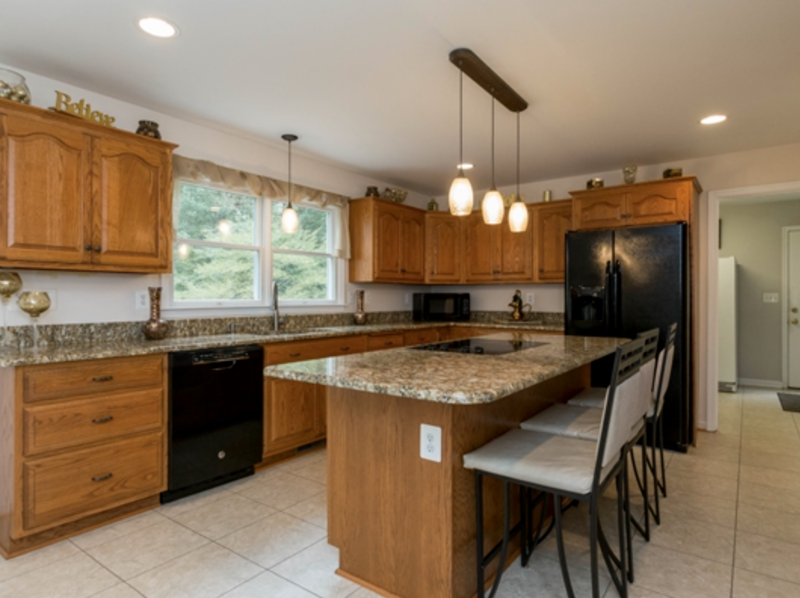 With beautiful cherry wood cabinets, granite counter tops, new refrigerator and dishwasher, and pro line Jenn-Air propane stove and convection oven, you’ll have things in the kitchen running smoothly. Plus, the bar provides additional storage, making plenty of room for all your extra gadgets and smaller appliances. Located on the first floor, the master suite offers privacy from the additional bedrooms in the house. 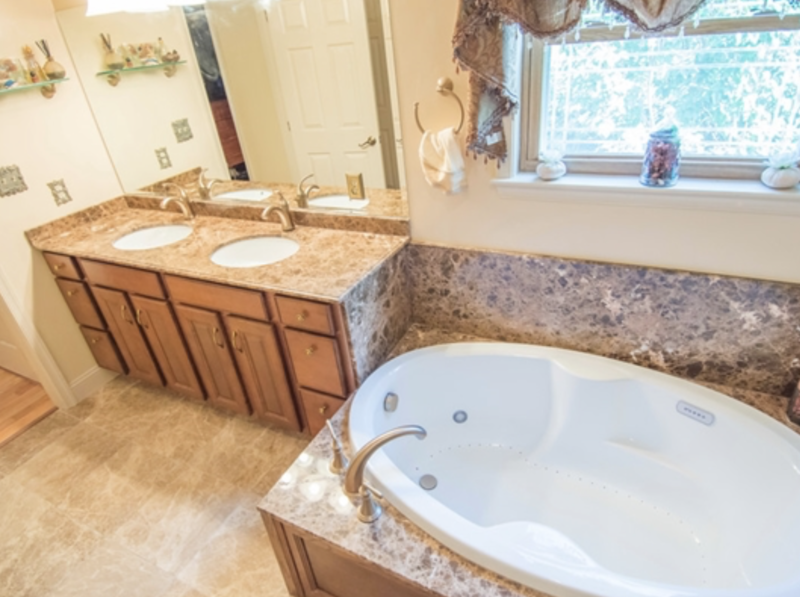 It features a custom closet, but the real show stopper is the marble bathroom finished with a mood lighted air tub, walk-in shower, dual sinks, and door to the deck. Lastly, the back yard (although to label it a back yard doesn’t quite do it justice). With so much land, you’ll have plenty of space to enjoy your favorite hobbies. Launch your kayak for a day of fishing or head to the community beach. And if you feel so inclined, make the most of your new location and add a lift to your boat slip. And there are a few non-aesthetics to excite you as well. New upgrades throughout the house, newly installed 50-year roof and back patio doors, and recently replaced windows with patented argon gas between panes and Prairie Grove etching. Need a few more options to add to your Andrews house hunt? 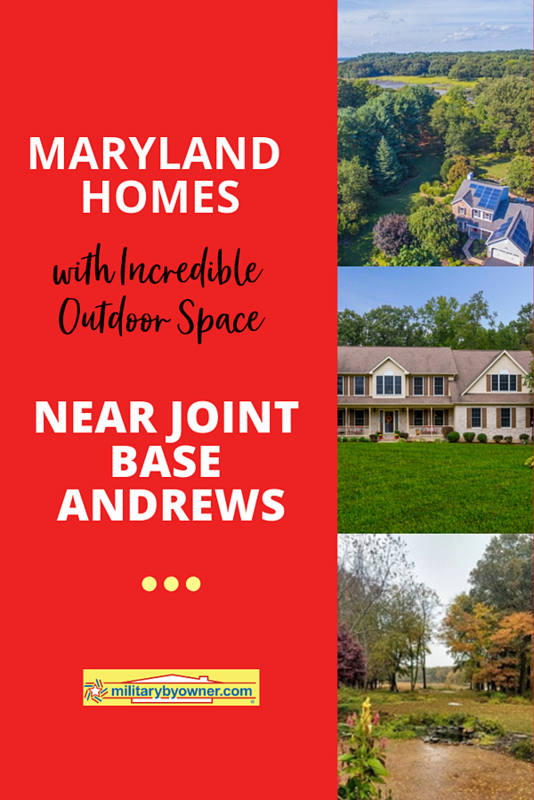 Be sure to click below and visit MilitaryByOwner's Joint Base Andrews page for a complete list of our available listings.